If you’re a fan of 6LACK’s moody R&B, Lil Yachty’s unpredictable charm, or Stormzy’s breakneck delivery, check out these up-and-coming artists in this special SXSW selection of rising talent. 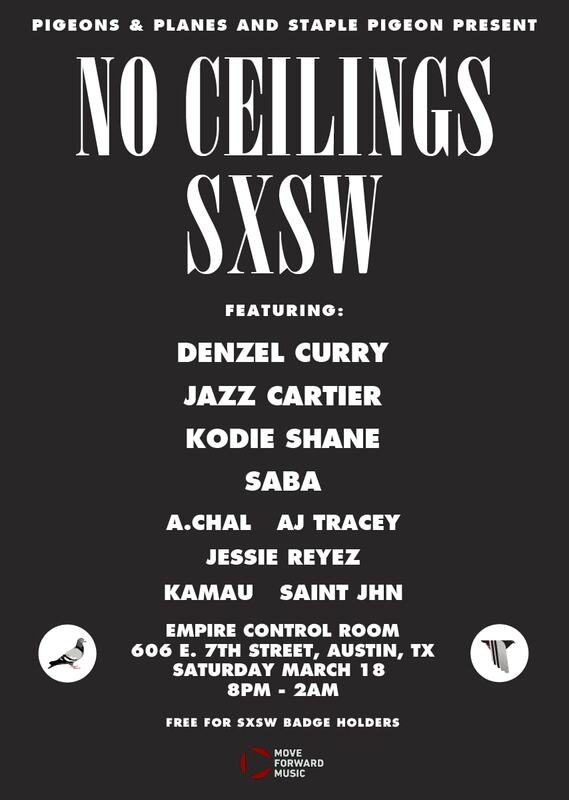 Rising artists A.Chal, AJ Tracey, and Kodie Shane are all playing our No Ceilings SXSW show in Austin this Saturday, March 18, along with Jazz Cartier, Denzel Curry, Saba, Kamau, Saint JHN, and Jessie Reyez. The show goes down at Empire Control Room from 8 p.m. to 2 a.m and is free for SXSW badge holders. See more details here and check out the flyer below.